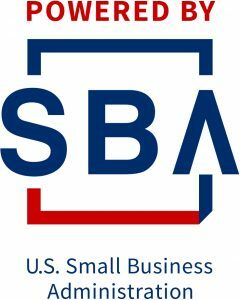 The Small Business Association 504 Loan Program can provide low-interest financing to eligible small businesses. The Small Business Administration (SBA) 504 Loan Program is a long-term, fixed-rate financing program that offers small businesses another avenue for financing projects that grow their businesses and create jobs. The SBA 504 makes low-interest financing accessible to companies that historically have been unable to tap into the long-term capital market. Eligible for-profit businesses can borrow up to 40% of total project costs, with a participating lender covering up to 50%, and the borrower contributing 10%. Under certain circumstances, a borrower may be required to cover up to 20% of the total project costs. Fixed assets that can be funded include land acquisition, building construction and purchase, renovations, leasehold improvements, equipment and related project costs. SBA 504 offers additional benefits for women, veteran and minority-owned companies, export related companies, green buildings and businesses in rural communities. at 814.262.8368 to discuss your company’s financing needs.